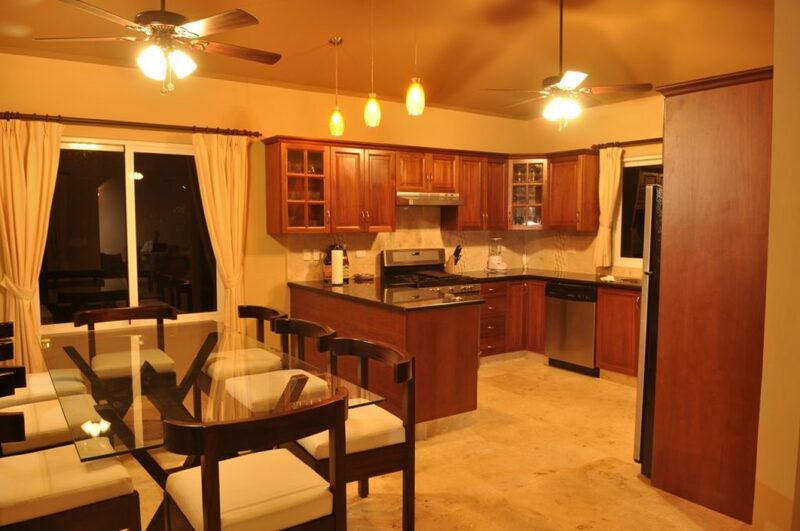 Buying a wheelchair friendly house or vacation villa near the beach in the Dominican Republic is now possible thanks to the new concept of villas introduced by Golden Treasures Real Estate. People with disabilities can now custom order a vacation villa or beach house designed to match their every need, with special wheelchair access to all the areas inside and outside. 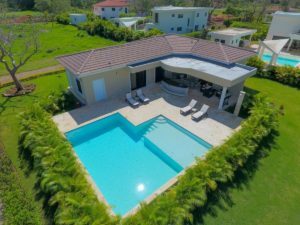 The villas are available for construction in fine residential communities of Sosua, Cabarete, Cabrera, Puerto Plata and Cofresi. 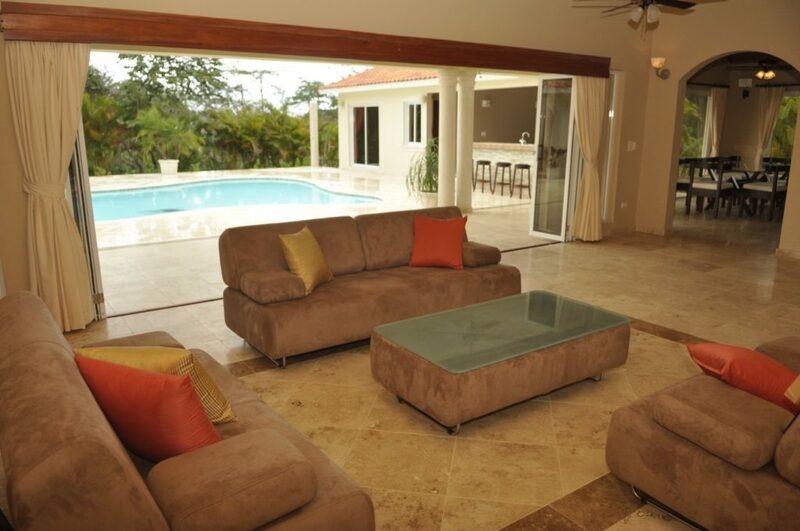 Villa Ultima is one of the most customizable vacation houses in the Dominican Republic. 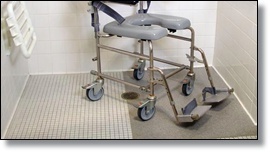 It can be built with various sizes and layouts, and allows for full wheelchair access configuration. 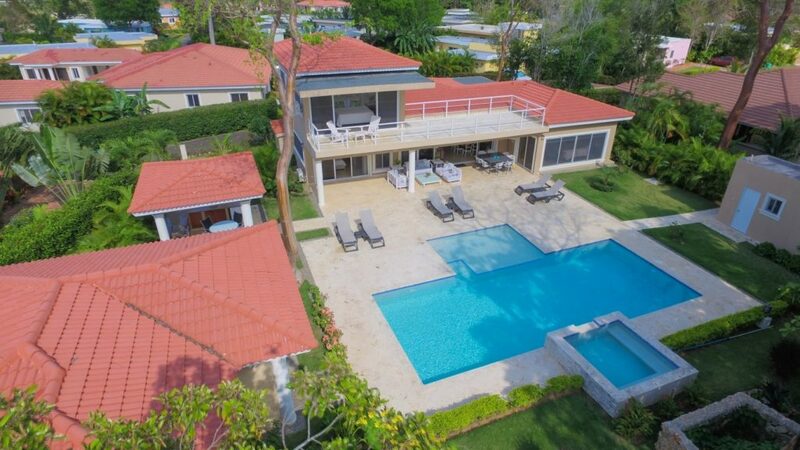 The model seen here have 4 bedrooms centered around a large swimming pool, in the modified model for wheelchair users the clearance of all the thresholds and doors is wider, with a special access in the pool. 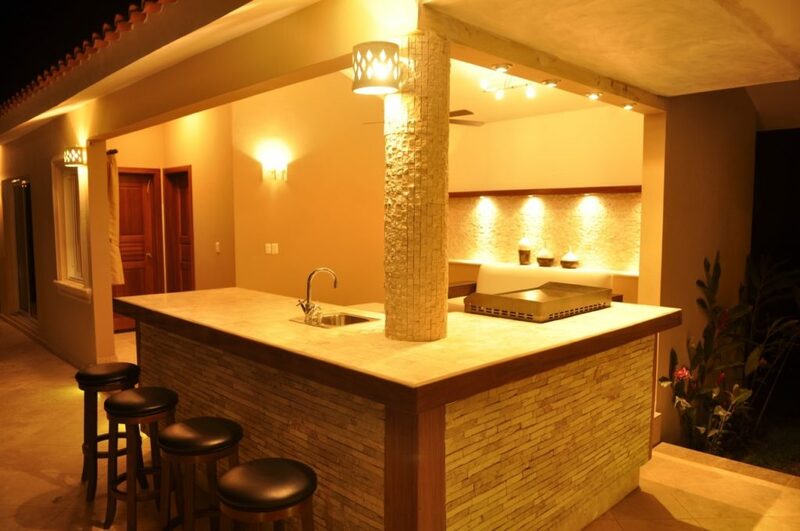 Some existing villas can also be adapted for wheelchair use, and make it fully barrier-free units. 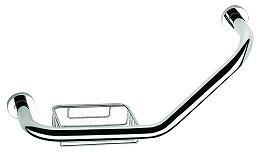 large door handles made of stainless steel, grab bar type. 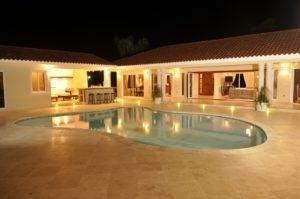 Golden Treasures is the only real estate agency that caters to people with special needs, and also does wheelchair access vacation rentals in the North coast of the Dominican Republic. 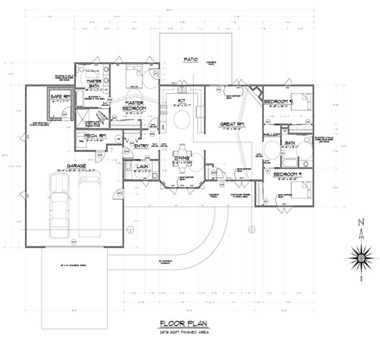 We design a layout for your villa if the existing ones are not adaptive enough to your needs. The whole house can be designed from scratch to match your specifications so you can own a nice wheelchair accessible, access-friendly holiday home near the beach in the Dominican Republic. Other disabled friendly villas can be as low as $150k with 2 bedrooms and swimming pool. *yearly maintenance/HOA fees apply if built on a gated community. 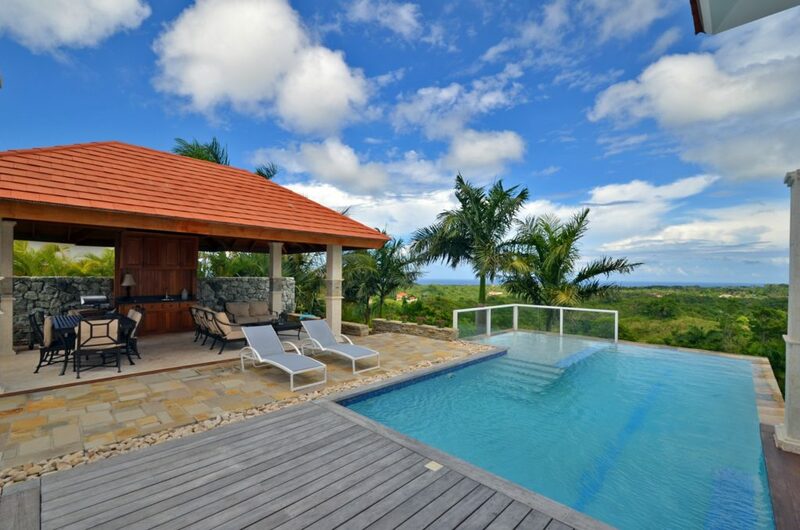 We have a wide selection of properties for sale that are originally built for wheelchair mobility, and also one level villas that can be adapted with grab bars, wheelchair ramps and other minor changes. 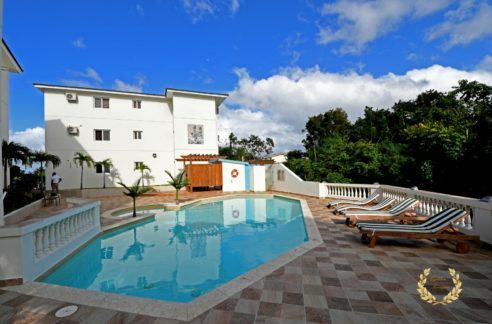 Currently we are implementing barrier-free condo and villa vacation rentals for disabled persons who use wheelchairs and other mobility-related support gear. 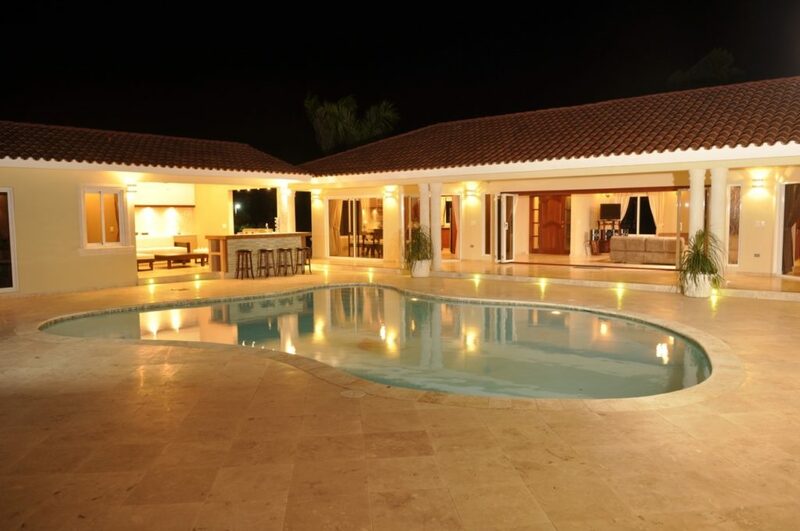 The layout of the Villa Ultima was conceived with accessibility in mind, and for large groups of visitors. 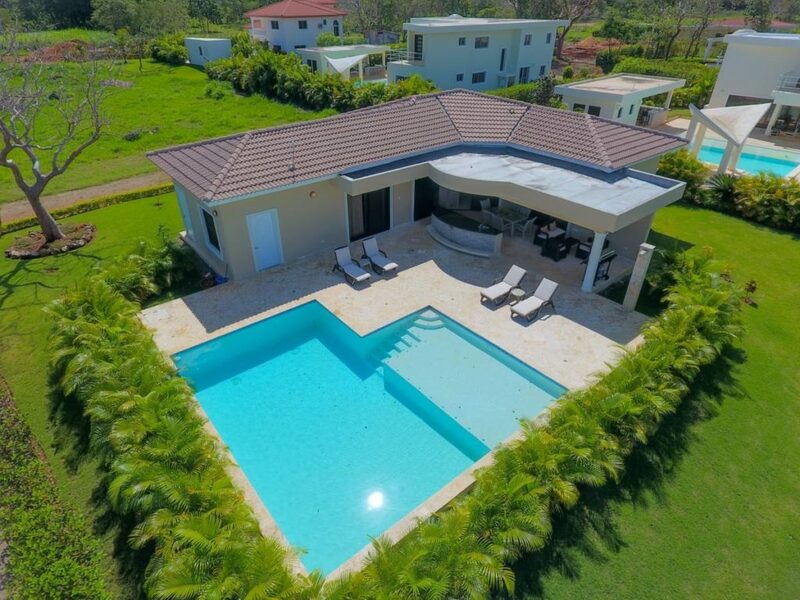 Its four bedrooms are comfortably designed for privacy, and as you can see this is a one floor villa with flat surfaces, easily custom-built for wheelchair users. The width and length of the areas are roomy enough throughout the house, and can be ordered following your personal instructions as to how high we should place the kitchen counter, cabinets, appliances and other details. 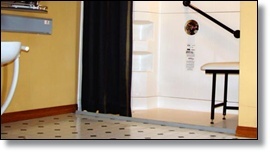 The same principles are applied in the bathrooms and bedrooms. 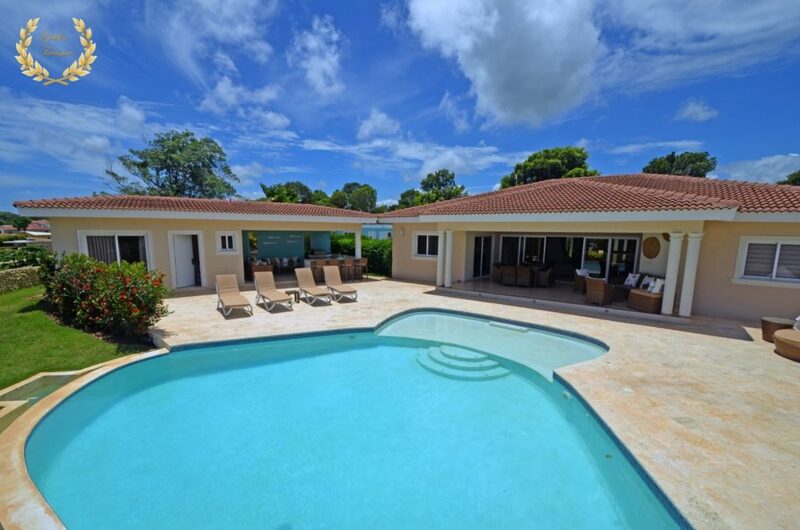 We can fit your holiday or retirement villa in the Dominican Republic with one, two or all the bathrooms with grab bars, foldable shower seats and other access-critical fixtures for special care persons including the elderly. 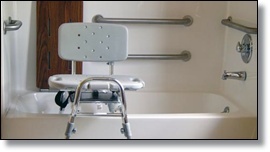 Wall mounted adjustable folding grab bars placed next to the toilet in both sides. 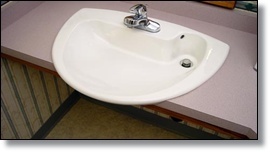 A shallow sink with single lever faucet provides easy access for wheelchair users. The bathtub has grab-bars, folding seat and flat back. Additionally the tub has 42” long basin at sump. 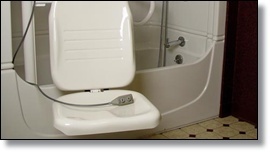 An electric bathtub transfer seat lowers into the tub for easier access. This product needs to be shipped from the USA. 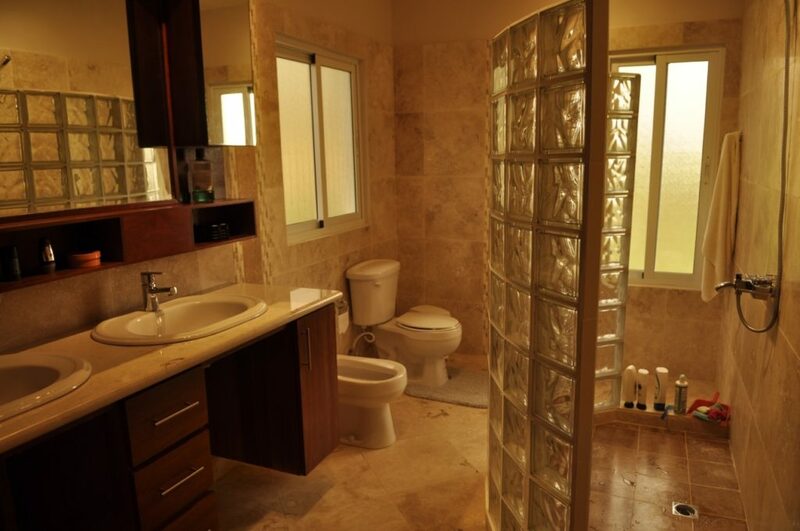 A walk/wheel-in shower with a low threshold for easy access. The shower also features an overhead light, a folding seat, grab bars and a collapsible water dam. 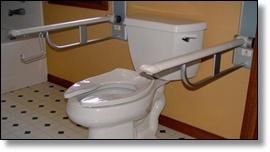 The addition of the Toilet elevator elevates the existing toilet 3.5 inches in a unobtrusive, aesthetically nice way for use by all in the family. Stand holds dryer steady for one-handed styling. 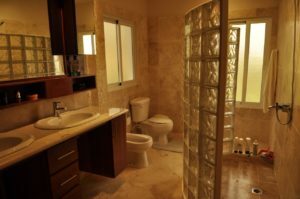 A walk/wheel-in shower with no threshold for easy access. 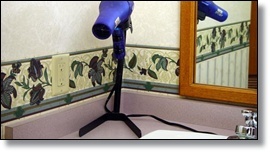 A remote flush for the toilet can be wall or floor mounted for hand or foot usage. These photos are meant to give you an idea of how a custom-built vacation villa or retirement house would look like in the Dominican Republic, though the exterior look of Caribbean villas are built with a more open look and facade. 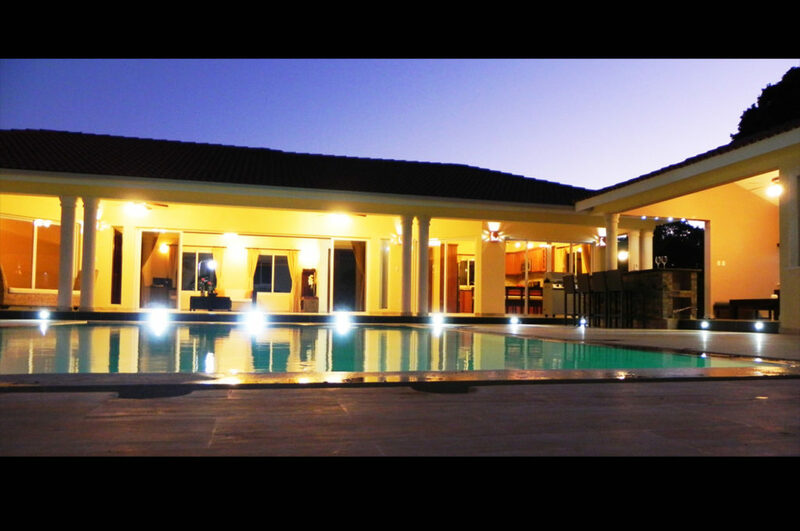 We work with well established construction companies in the area. With a proven track record in villa and houses development in Sosua, Cabarete, Puerto Plata and other areas closer to Cabrera, Cofresi and Samana. 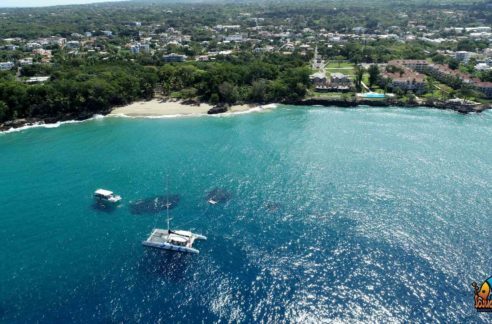 We plan to establish a wheelchair-friendly community in the North coast of this beautiful Caribbean island. 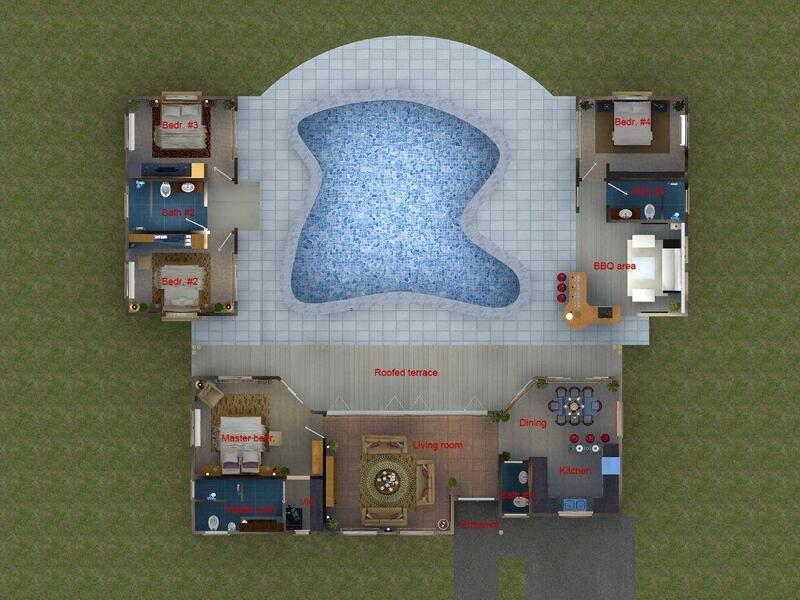 Design # 2 is an original of the USA, we added a smaller villa front picture as an example; the original one is much larger but can be built in any dimension desired by the client. 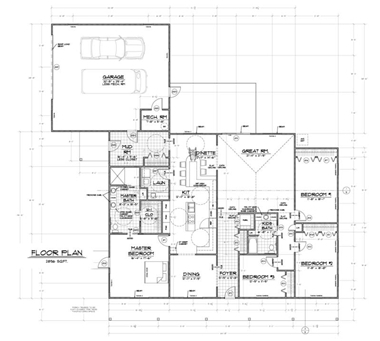 This Mediterranean style villa design incorporates a zero-step entryway from the garage to the house, with a total of 1785 sq ft. featuring 3 bedrooms, 2 bathrooms, 2 car garage, gathering room, laundry room, master suite, patio, porch and other extras. 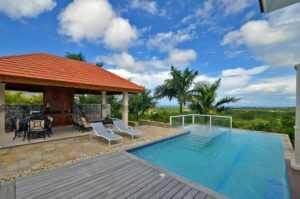 Fully customizable as a beach or oceanfront property if you buy a piece of waterfront land.